Editor's note: From the typewriter to the propelling pencil to our favorite, the world wide web, inventors and innovators from the United Kingdom have brought us brilliant advances that have changed the way we work all around the world. Over the next few weeks, we’ll share a handful of stories from disrupters and trailblazers in the UK who are using Google Apps for Work to support their mission while growing at faster and faster speeds. Today, we hear from Taavet Hinrikus, Executive Chairman of TransferWise, a company disrupting the international money transfer marketplace. He shared his insights on managing fast growth with a culture of collaboration and flexibility, with Google Apps for Work. These days, we can work anytime from anywhere. Productivity doesn’t depend on being in the right place; it depends on being in the right state of mind. We’re no longer limited to working in an office space because we have technology that enables us to access our work when we need to, no matter where we are. 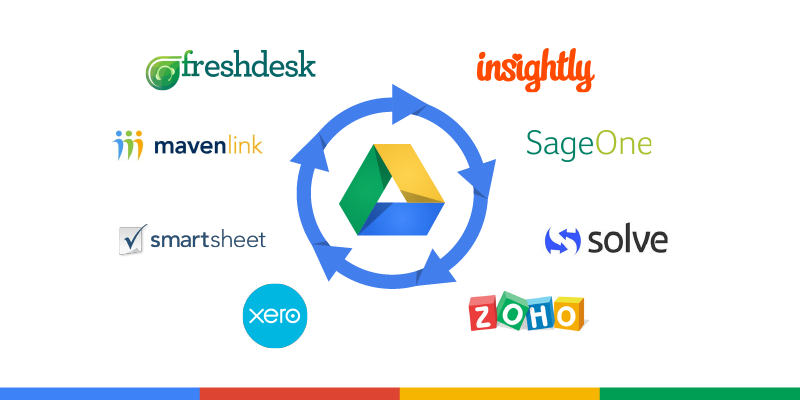 Google Drive makes sharing quick, efficient and simple across the company. Since we have offices in London and Estonia, it’s important that we can store and work on documents simultaneously from different locations. 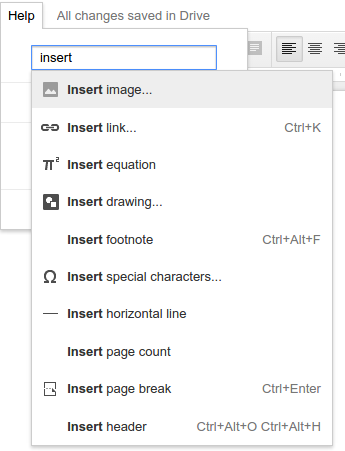 Google Drive is intuitive, makes us a flexible team, and allows us to turn ideas around quickly. This speed and agility helps set us apart from our competitors. Editor's note: Today’s guest blogger is Hari Ravichandran, CEO and Founder of Endurance International Group, which helps small businesses get online and manage their web presence. Launching a small business is tough, and getting a website up and running along with marketing your company online can seem especially daunting. At Endurance, we realized way back in 1997 that the Internet was going to change how small businesses reach and serve their customers, and that bringing the power of the Internet to them was both a great business opportunity and a way to support aspiring business owners globally. So we built our company around helping SMBs manage their web presence with hosting, domains, email, design and online marketing. With Endurance doing the technical heavy lifting, SMBs can focus more on growing their companies and making them succeed. Google Apps for Work is now is now an integral part of our e-mail and cloud productivity offering we recommend and provide to our customers, and it’s going to make business owners’ lives easier. How do we know? Because we started using Google Apps ourselves, and we’ve seen firsthand how we’ve used it to connect more often with our teams, get projects done faster and save money. Today we serve over 3.7 million small businesses around the world, and we operate a number of leading brands such as iPage, Bluehost, HostGator and Domain.com from offices around the globe. In such an environment, communication is important. In the past, it took too many actions to complete simple tasks — sending emails back and forth, with employees from different offices not easily able to collaborate on documents or see each others’ calendars to schedule meetings. That all changed when we moved to Google Apps. We knew of Google Apps and wanted to use the suite, which has all the e-mail, calendar and document-sharing features we needed to run our business. Many of our employees had personal Gmail addresses, so they were already familiar with Google and were genuinely excited about making the switch. Our IT department was equally happy about the short learning curve for Apps, since it made migrating our employees over to Apps surprisingly easy. Perhaps the best part about our move to Google Apps is the ability to communicate with our colleagues across the company, no matter what country we’re based in. We talk to each other and keep in touch far more often than we used to, thanks to Hangouts and Google+. Since Google Apps has everything we need, from file storage to video calls, we will no longer rely on expensive or hard-to-use video conferencing, email, and file storage solutions. We have built a relationship with Google to help small businesses harness the power of the web in multiple ways, first through the AdWords Referral program, and more recently via joint programs in the US, India, Africa and Southeast Asia including the “Get Your Business Online” program. 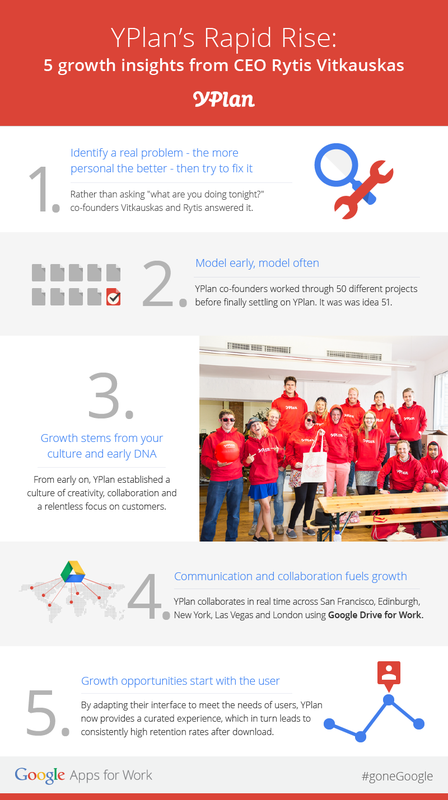 Once we saw how quickly Google Apps changed the way we work, we wanted to share it with our small-business customers. 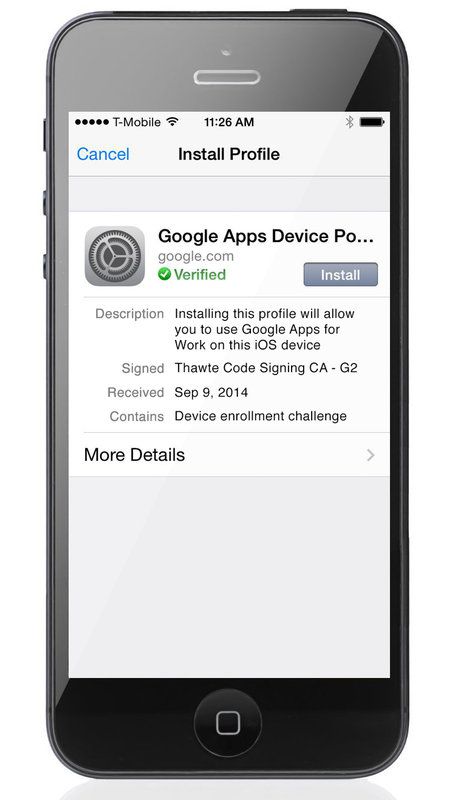 That’s why we’re excited to be joining the Google for Work Partner Program. We’re integrating Google Apps with the dashboard that our customers use to manage their businesses, like email marketing and website design, so customers can have one seamless experience working with their website and productivity apps. And since we use Google Apps everyday ourselves we can help our customers get the most value out of it. Google Apps fits in perfectly with our philosophy of guiding small businesses to success – not simply getting online but being online. When you have an easy-to-use solution like Google Apps, working together on projects, accessing documents from anywhere, and keeping costs in check becomes part of doing business every day. We’re counting down to next week’s Atmosphere Live with a series of interviews from speakers who will be featured at the interactive online event. 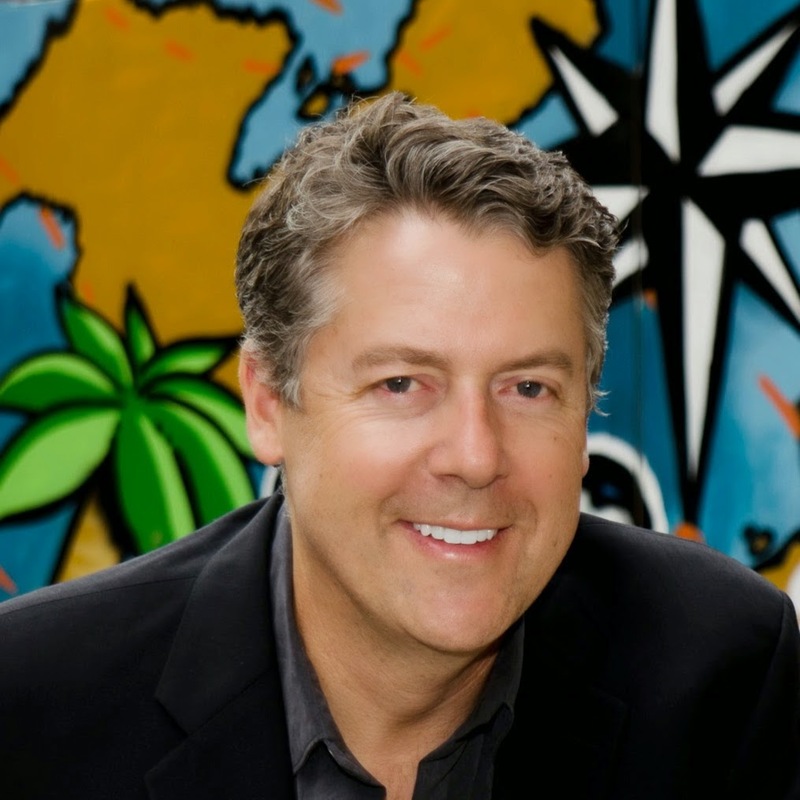 Today, we hear from Jeff McConathy, VP of Engineering & Consumer Services for Trulia, who is speaking in our session on delighting customers in new ways — online, offline and on the go. Learn more and register for Atmosphere Live, which takes place on October 1st, here. Buying a home is a stressful process. How do you make that experience more pleasant for your customers? How do you delight someone who’s making one of the biggest financial commitments of their lives? Industry research tells us that the home buying process takes an average of 18 months, and as many already know, there’s a lot of anxiety, especially when the process is new. Trulia was founded to make that process easier, less stressful and more enjoyable, by providing information and insights to consumers and connecting them with real estate professionals to help them through the rest of the process. Our goal is to delight consumers by making home search unexpectedly enjoyable by understanding what they want and giving it to them when and where they need it – which, in our case, often means on their phones, while they’re touring neighborhoods and open houses. How has technology helped Trulia deliver on that vision and change the experience of the average prospective homebuyer? The old way of buying a house revolved around talking to the neighbors, checking the newspaper on Sunday, driving around neighborhoods and chasing agents down on the phone. With Trulia, you provide the parameters for the home you want and, within seconds, get all the information you need, seamlessly integrated on a map, which includes school districts, parks and amenities nearby, as well as additional information. We’ve learned that the combination of mobility and maps is especially suited for home seekers. That’s why we recently launched a feature that will alert you, via the Trulia mobile app, when you’re near a home that meets your search criteria and has recently been listed. Finding the right broker or agent is also extremely important, so Trulia built an agent directory, with hundreds of thousands of agent profiles, which is helpful to consumers and agents who want to connect with potential new clients. We get really excited about this stuff. It’s why I tell people that Trulia is really a technology company that happens to dabble in real estate. What advice do you have for other businesses looking to improve the experience of their customers? Never assume that other people have your expectations, and never stop learning and adapting to your customers’ feedback. One way we make sure to deliver on this promise is by running extensive user studies. Last year, our Consumer Research team ran surveys in eight different cities, for example, collecting information and insights about our customers. That’s how we learned that many of our customers keep a separate tab open in their browser just to check distances on Google Maps because they can’t find the feature on our site. By responding to these insights, we can significantly improve the customer experience — in this case, by integrating Google Maps into our site. I often ask my team how we can make our searches that much more local, that much more precise and that much more delightful for our customers. We also have a team of data scientists that develop insights from anonymized site searches to understand the most important things people want in a particular city or neighborhood. Then we use that data to tailor the results, accordingly. Say, for example, you’re looking to rent a two-bedroom house in the Ballard neighborhood of Seattle. When you get the first page of search results, even if you’re a first-time Trulia customer, it reflects what people just like you are seeking. Editor's note: From the typewriter to the propelling pencil to our favorite, the world wide web, inventors and innovators from the United Kingdom have brought us brilliant advances that have changed the way we work all around the world. Over the next few weeks, we’ll share a handful of stories from disrupters and trailblazers in the UK who are using Google Apps for Work to support their mission while growing at faster and faster speeds. 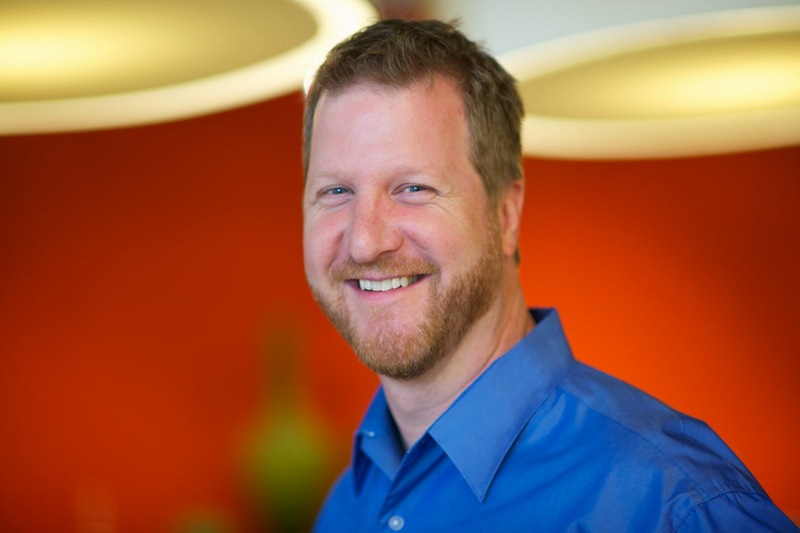 Today, Neil Delaney, International SMB Director for Google Apps for Work, shares insights from a new research report from Google and Deloitte on how cloud technology helps businesses overcome growth challenges. Fast growth often seems an elusive concept, something a lucky few tech start ups capture for a few fleeting years before slowing to smaller, incremental advances. But a new report we commissioned with Deloitte, Small business, big technology: How the cloud enables rapid growth in SMBs, paints both a more complex and uplifting picture — that small and medium businesses are using cloud technology to overcome growth challenges and scale and grow faster. The research explores the operating practices and strategies of businesses in the United States and Europe with up to 750 employees, and suggests that SMBs should move tools and applications to the cloud in order to free up time, capital and resources, and to establish a platform for sustainable rapid growth. Here are a few of the key insights we discovered. Cloud technology unlocks faster scaling and growth opportunities Eighty-five percent of SMBs reported that cloud technology enables them to scale and grow faster, while sixty-six percent said that the cloud allows them to outperform against their competitors. It’s this ability to leapfrog other companies and scale rapidly that makes cloud an essential part of any small business’s strategy. Cloud technology has a bright future Sixty-six percent of companies expect to increase their use of cloud-based technology in the next three years. This is another trend prevalent amongst companies who have gone Google, who begin adopting cloud services early on in their development and, through experimentation and iteration, begin to adopt more and more cloud solutions across their business processes. Businesses using an above average number of cloud services also grow 26 percent faster and drive 21 percent more profit than those that use no cloud tools. The cloud is favoured by both startups and established companies It’s not just startups that use the cloud as a tool for fast growth: 79 percent of relatively mature companies — those older than 5 years who are growing at less than 10% per year — believe cloud technology enables them to access new markets and revenue streams. This will become even more important as organisations adopt more digital tools in order to expand into new regions or product areas. Keep your eye on the Google for Work blog over the coming weeks for three more fast growth stories from companies that have gone Google and rapidly scaled the business food chain. 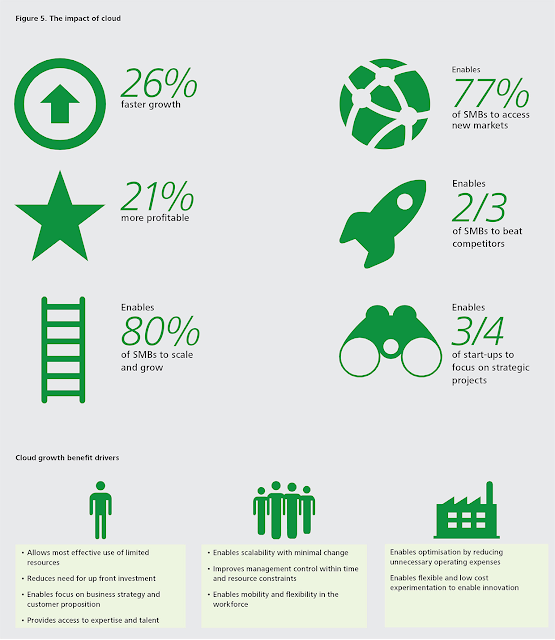 You can read the full report on fast growth and the impact of cloud technology on businesses here. Editor's note: From the typewriter to the propelling pencil to our favorite, the world wide web, inventors and innovators from the United Kingdom have brought us brilliant advances that have changed the way we work all around the world. Over the next few weeks, we’ll share a handful of stories from disrupters and trailblazers in the UK who are using Google Apps for Work to support their mission while growing at faster and faster speeds. Today we hear from Samir Desai Co-founder and CEO of Funding Circle, the world’s leading marketplace for small business loans. 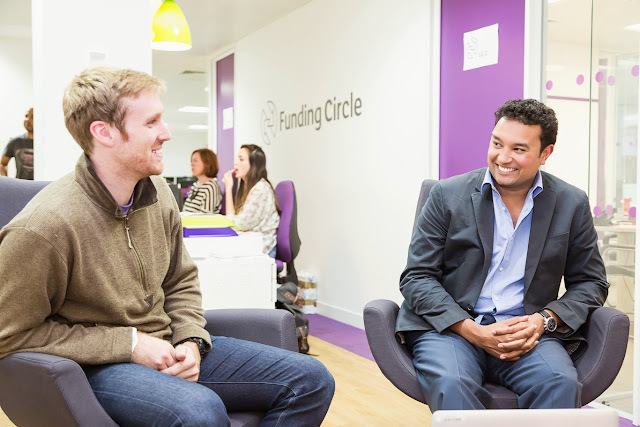 At Funding Circle, we’ve built the world’s leading marketplace for individuals to lend money directly to small and medium-sized businesses in the US and the UK. Since our launch in 2010, we've experienced rapid growth, lending more than half a billion dollars to over 5,500 businesses. Google Apps for Work equips our teams to work across geographies which keeps business strategy on track as the company grows. Today, I’ll share four insights that are relevant for other businesses looking for growth opportunities. We use a combination of data and risk analytics to effectively grade our loans in more detail than traditional lending institutions and to differentiate ourselves from what other banks offer. Because of our deep analytical understanding, we can offer loans to businesses that banks might turn away. We also publish the performance of every loan we’ve ever originated on our marketplace so this information is downloadable to investors. As a result, we’ve attracted 30,000 individual investors, the Government, 10 local councils, a university and a range of financial institutions, who are all willing to lend their money because of how transparent we are about performance. We’ve embraced the cloud from the outset. 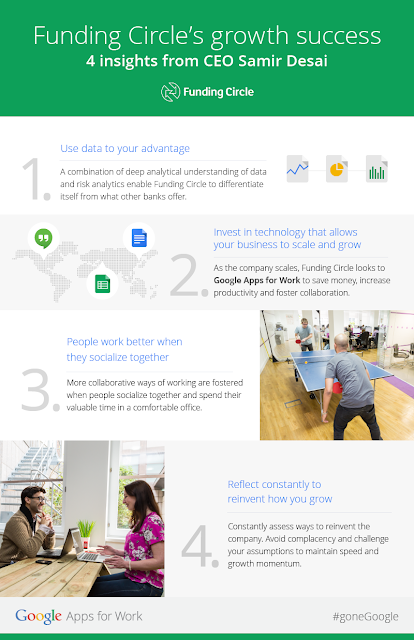 We select technology that enables us to save money, increase productivity and collaboration, like Google Apps for Work. Google Docs and Sheets are particularly valuable tools for the press releases and centralised documents we edit and share across geographies. For example, we recently announced our latest funding round of $65 million and our communications team, based in the UK and US worked very closely together. Docs and Sheets allowed them to collectively craft a strong story about the announcement and share updates. We are using Google Hangouts to help our UK and US offices keep in touch. The tech team is often in Hangouts as they review our web platform and refine our code. The collaborative and inexpensive nature of Hangouts also helps us save money when it comes to travel. The immediacy you get from Hangouts connects you when it matters, where ever you are. We set out to create a place where people want to work. 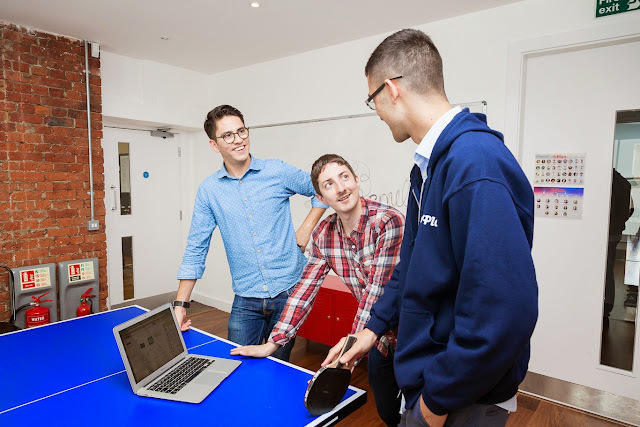 We bring smart people together and offer them a place to tackle large challenges, and have fun. Our offices are equipped with gaming consoles, ping pong tables, our beloved mini-bar ‘Fundabar’, as well as breakout areas where quick meetings can happen away from your desk. Nurturing the working environment can create a fabric that connects employees even when they’re new to the team. People work better when they socialise with each other and spend their valuable time in a comfortable office environment. We’re relentlessly assessing how to reinvent the company and change things. As we grow in size it’s important to avoid being complacent. We maintain a startup culture of moving fast and trying new things. Just because we’ve done things a certain way for the last 6 months or even 4 years, doesn’t mean there isn’t suddenly a better, more efficient way of moving forward. It’s better to take cues from what doesn’t test well, such as a marketing channel or a particular part of the website, and change course rapidly, putting the company in a better position to capture better results and offer a better service. We’re committed to providing the best experience for our customers. This only happens with a constant evaluation of the service and a neverending drive for efficiency. Editor's note: Today’s guest blogger is Dawn Santone, Manager of Workflow and Technology Integration at the Canadian Broadcasting Corporation (CBC). CBC is Canada’s national public broadcaster and provides a range of radio, television, internet and satellite-based services. See how other forward-thinking organizations are investing in mapping technology and transforming their business: Maps are Going Google. Canada didn't have a national team at the 2014 World Cup, but our crew at the Canadian Broadcasting Corporation knew that wouldn’t stop Canadians from wanting to experience the tournament alongside the rest of the world. Who did our viewers root for? 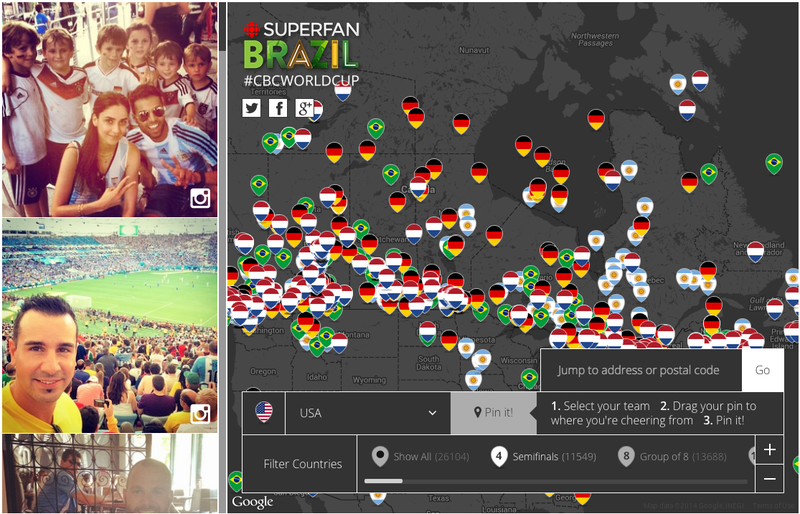 We created a SuperFan Map to spotlight our fans’ unique experiences as they enjoyed the frenzy and excitement in Brazil. The idea for the SuperFan Map began with a Google Form that we used to survey our fans about their favorite teams. As we looked at their responses, we noticed the diversity of fans — across Canada and across the world. We used this geolocation data to drop pins on a map and visualize where our fans were located when they enjoyed games. We made the map even richer by pulling in photos and videos from Google+, Instagram and Twitter, curated using our #cbcworldcup hashtag. We knew we wanted to use Google to create the SuperFan Map. The turnaround was quick — we started using Google Maps Engine in the beginning of June and had our map up and running before the first game was played on June 12. It worked consistently, even during major matches and other spikes in traffic. The map also connected our fans in a way that went far beyond sport alone: it created a sense of community, from coast to coast to coast in Canada, from Australia to Norway, and dozens of countries in between. We saw an incredible diversity of teams, geographies and faces surface on a single Google Map. The SuperFan Map has helped us take engagement further by connecting with fans in real time. A cross-promotion with CBC Music connected our SuperFans with The Beetle Roadtrip Sessions traveling across Canada. We used the map to see where people were cheering, then invited them to celebrate with us. For instance, we held a giant party in Montreal after seeing a high concentration of fans in the area. We’ve seen how Google Maps can help us better inform our organization and inform our fans about the events that matter to them, no matter where they happen in the world. Beyond helping us connect with our fans, Google Maps helped connect fans with one another. Editor's note: Today’s guest blogger is Jeanne Anderson, SVP of product at DogVacay. 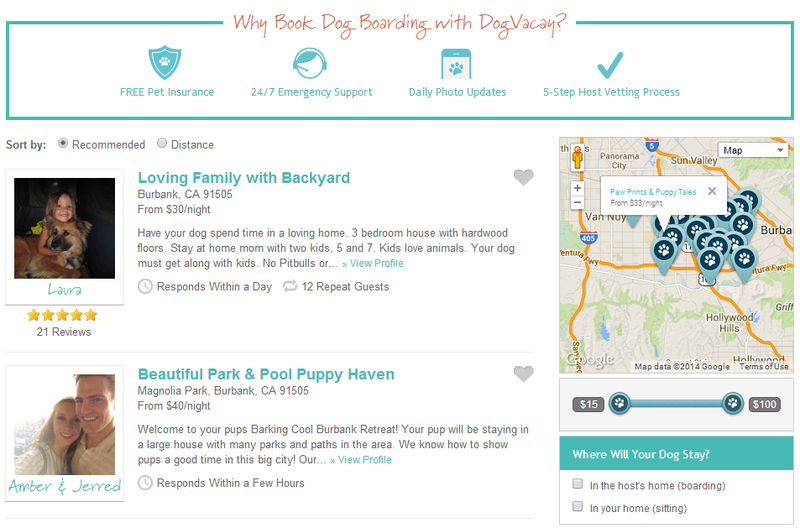 Based in Santa Monica, Calif., DogVacay is a service that connects dog owners with local pet sitters. Learn how the company partnered with Google Maps to deliver localized pet sitting services. At DogVacay, we help people find the perfect home away from home for their dogs while they are away. People across the U.S. spend billions of dollars on boarding for their furry friends, and we want to offer a better solution than current commercial options. The way we see it, dogs are happier in a loving home where they receive customized care, rather than sitting in a crate at a kennel with limited human contact. Our business has struck a nerve — we have more than 15,000 hosts in 3,000 cities across the U.S. and Canada since we launched in 2012. To help pet owners find the best host nearby for their pooches, we use Google Maps. With Google Maps, which we integrated with the help of SADA Systems, DogVacay allows pet owners to locate hosts nearby simply by typing in a zip code or street address. Potential hosts are pinpointed on an interactive map linking to profiles that detail the pet sitter’s experience, certifications, price and other details. Many of our guests have told us they like the ability to quickly find sitters nearby — sometimes only blocks away. Our Concierge Team has even helped people find dog sitters in their own buildings in New York City. There’s an enormous number of dog lovers who want to provide excellent care and a loving home for animals while their owners are away. DogVacay and Google Maps makes it easier than ever to find these hosts right in the owner’s neighborhood. In addition, we’ve made the search options extremely customizable to our customer’s needs, offering services to elderly or sick dogs in need of special care. We’re always looking for ways we can expand our offering, and Google Maps plays a big role in providing hyperlocal services that help keep dogs (and their owners) happy! The workplace is undergoing a significant shift away from the old, isolated cubicle to an always connected, collaborative approach. More people than ever are working together from any device or place, with cloud-based tools that help them connect, collaborate and quickly bring ideas to life. On October 1st, innovative business leaders and tech experts will explore this trend and the future of work at Google’s first Atmosphere Live event. In true digital fashion, we’re taking a fresh approach by hosting it entirely online, sparing attendees the travel and hassle of typical conferences. We’re turning a traditional in-person event into an any-person experience. You’ll get the chance to participate and interact by voting, asking questions and using our social media visualizer—all from the comfort of your desk, couch or anywhere else. The future is about working how you want, so we’re bringing you that freedom as you learn and take part with your peers. 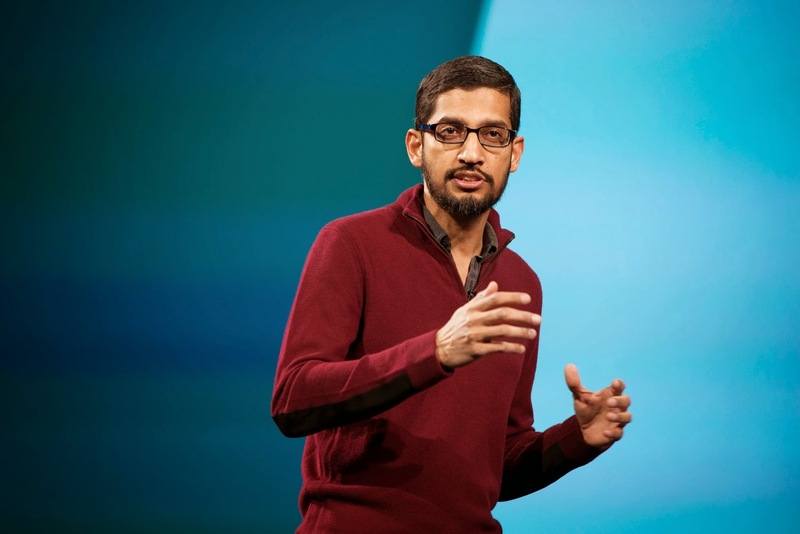 The agenda includes Google’s Sundar Pichai talking about bringing game-changing products to market; Claire Hughes Johnson discussing Google [X] moonshot thinking for self-driving cars; Urs Hölzle on next-generation cloud technology; and Vivek Wadhwa talking about inspiring workplaces. Breakout sessions will focus on human resources, marketing, IT and product development, featuring the insights from forward-thinkers from Trulia, All Saints, Whirlpool, Avery Dennison and Chico’s. They’ll weigh in on subjects ranging from employee productivity to customer engagement to workplace technology in the age of Cloud Computing. We hope you’ll join us for one of our biggest work events of the year. So charge your devices, mark your calendars for October 1st and share your thoughts, impressions and questions using #atmosphere14 on social media. Register today and we’ll see you there. As Laura Patterson, CIO, University of Michigan puts it, "The latest improvements in Google Drive and Docs for users of assistive technology are a major step forward and exemplify Google's commitment to making their products available to all members of our community.” We’re pleased the community has welcomed these improvements, and will continue to work with organizations to make even more progress. Marvel and DC Comics, Star Wars and Star Trek, Emacs and VI—we all have our favorites. And then there’s iOS and Android, each with dedicated fans. Regardless of which you prefer, there’s no reason your device of choice should get in the way of your work. Alongside our Android device management solution, we’re introducing iOS Sync for Google Apps giving you and your company the increased security needed to protect your files, emails, documents and more on your favorite iOS phone or tablet. iOS Sync is integrated right into the Gmail and Google Drive apps for iOS, so you don’t have to take any action to download an additional app. And iOS Sync will support iOS 7, 8 and, of course, the new iPhone 6 and 6 Plus. iOS Sync will be available for Google Apps for Work, Google Apps for Education and Google Apps for Government beginning next week. Administrators should go to the Admin console to enable these new functions. Work from anywhere, safely on your favorite device while keeping your work information secure with Google’s mobile management tools. Editor's note: Today’s guest blogger is Hidetomo Aramaki, Vice President of Innovation & IT Strategy at ANA Group (All Nippon Airways, Co., Ltd.), a Japan-based airline operating more than 1,000 flights each day. As Japan’s largest airline we have lots of moving parts to manage. And we don’t just mean planes and passengers. We’re a global organization with more than 40 departments across the world. While we’ve always had a strong sense of teamwork, we’ve run up against some walls as our company has grown. So in March 2013 we switched to Google Apps for Work so all our 49,000 people - in the air, on the tarmac and in our offices — could use a communications and IT platform that supports our culture. The move was a big part of our broader “Work Style Innovation” program which is designed to connect our employees around the world as one team and provide better service to our customers. Since moving to Google tools, we’ve been able to launch some new initiatives with a level of staff input that was previously unimaginable. It used to be difficult to get input from multiple departments on big projects, but now we can upload project documents to Google Drive and teams can simultaneously make edits and instantly share issues. This was very helpful when we overhauled our international flights reservation system — a company-wide project. The ability to connect departments and employees around the world was also key during the redesign of our new uniform. This was the first change to our uniform in 10 years, and we found it really easy to share designs and pictures of staff wearing uniforms through Gmail and Drive with our New York-based designer. No matter where we were, or what device we were on, we could make adjustments to files and discuss everything from breathability to elasticity with Google Hangouts. Being able to access files from anywhere using Google Drive has been great for our safety teams too. If maintenance staff at Haneda Airport see a problem they’re not sure how to solve, they take a picture of it right from the tarmac with a tablet and share it with the global team. Other maintenance and safety experts review the images and can give advice from wherever they are. The new process results in problems getting fixed faster and an overall increase in our safety standards. As well as improving work processes and communication, tools like Google+ have been great for supporting internal communication. We have some really active Google+ communities for working mothers and fathers to share stories, advice and experiences. Our industry demands information at jet speed. Google Apps helps our employees share ideas, opinions and updates no matter where in the world they happen to be, so that time zones and language barriers don’t hinder our ability to work well together and we can better serve the customers who fly with us. Since launching in 2010, Betabrand has sought to upend preconceptions of what constitutes a clothing brand by pairing original apparel with a spirit of innovation and a strategic sense of humor. Clothes like Executive Hoodies and Dress Pant Yoga Pants aren’t mere novelties — they’re products people love, and they’ve helped Betabrand establish itself as a fashion innovator. We try to foster a work culture as cutting-edge as our clothing designs, and we do it with the help of Google Apps for Work. We didn’t have much experience in the apparel industry at first, but we did have a vision of a new style of clothing company, one that constantly beta-tests products, fashion photography and design ideas. Now, we now have more than $8 million in annual sales, a 50-person office in San Francisco and designers from around the world pitching new ideas every day. Our success is predicated on a digital business model and a work culture that fosters frequent communication and collaboration between employees, designers and clients. We operate quickly with an agile, crowdsourced product cycle that takes an idea from concept to sale in anywhere from three weeks to three months. (To put this in perspective, the traditional fashion-industry cycle typically takes 12-16 months). It starts with both independent and in-house designers creating design concepts. We then elicit feedback from our fans in our Think Tank, launch the designs they like into crowdfunding and, ultimately, turn the most popular prototypes into actual products. Every week, we launch 5-7 new experimental products. As a fast-moving business with even faster-paced product cycles, we need tools to complement and enhance the way we work. 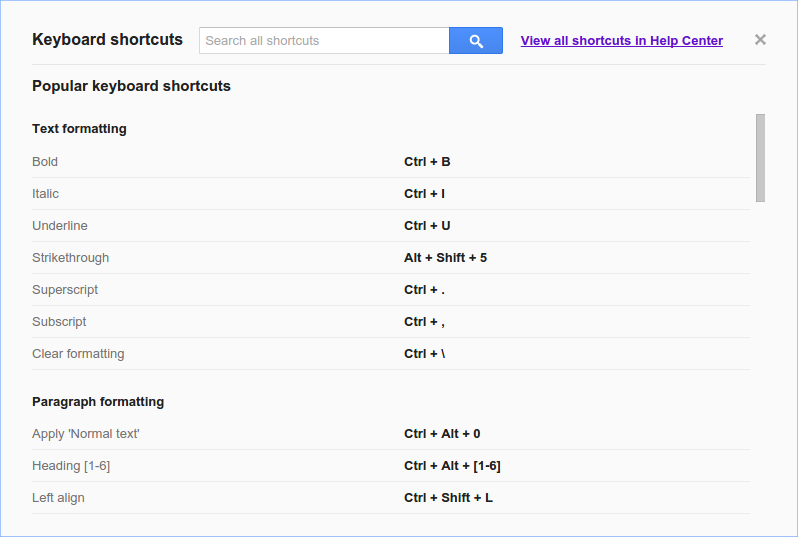 Google Apps for Work was the obvious choice. Since employees at Betabrand are tied to their phones, we depend on the mobile features of Gmail and Calendar every day. In addition, Google Hangouts helps us communicate with designers and easily share design-concept visuals. With Google, we’re not tied to sharing a product only in its final form — we have our entire production timeline on a spreadsheet that people throughout the company reference and edit. We now easily collaborate with employees at our offices down the street and with designers from around the world. Google helps us maintain our streamlined product cycle and, more importantly, our focus on innovative fashion, like the NASA-inspired Space Jacket and Disco Hoodies made with pure shimmering “disconium.” If you’re going to set out to revolutionize an industry, you need your team to work in a revolutionary way — with tools that are familiar and that make collaboration seamless. Google for Work lets us do just that.